Manchester is one of the most vibrant and dynamic places in the UK. 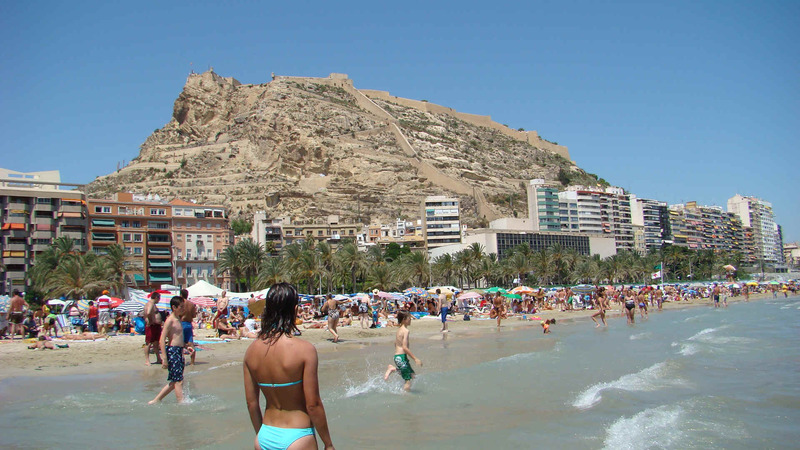 Here you will find a wonderful variety of things to see, do and experience, whether you are shopping, eating out, enjoying outdoor activities or anything in-between. Manchester not only gained a brand new stadium, but also plenty of modern architecture, fantastic shopping facilities, some great hotels and a bustling nightlife including a thriving student and gay scene. All this makes Manchester an exciting city to discover. The Castlefield Conservation Area’s 18th-century canal system harks back to the city’s days as a textile powerhouse, and you can trace this history at the interactive Museum of Science & Industry. The revitalised Salford Quays dockyards now houses the Daniel Libeskind-designed Imperial War Museum North and The Lowry cultural centre. Manchester holds galleries, museums, sculpture trails, architecture and glorious countryside to name just a few of the many exciting places to visit. While you are discovering the stories and treasures of all ten districts of Manchester you will enjoy a feast of sightseeing and things to do. 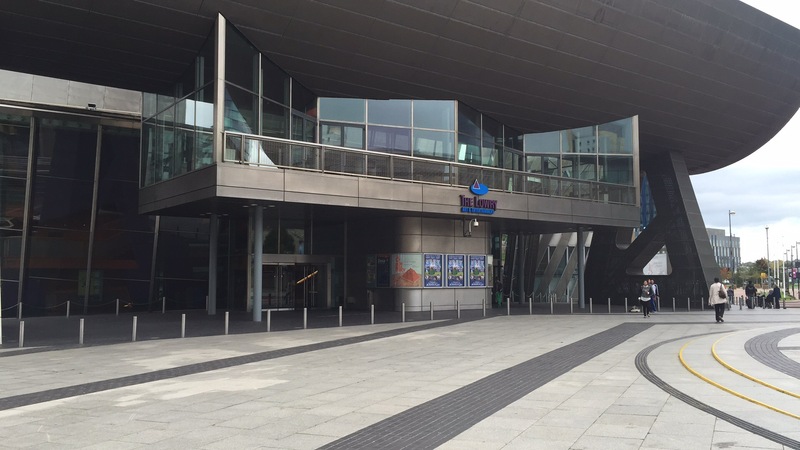 The Lowry is undoubtedly one of the most visited galleries in Manchester. The Lowry building has a spectacularly modern design and is every bit as fascinating as the varied art collection it holds and hence is a real source of local pride. It is named after the artist LS Lowry and there is a very fine collection of his drawings and paintings on display. The Lowry also hosts two theatres and various shops, bars and restaurants. Manchester Art Gallery is a must for art lovers. The gallery has an internationally respected collection of art ranging from the early Dutch and Italian masters, through to the likes of Gainsborough and Constable. There is also a display of decorative art including ancient Roman earthenware to contemporary furniture, providing something for all taste to enjoy. Manchester United is one of the most famous football teams in the world. To find out more about this club visit their museum and take part in the guided tour. It is open most days, but there are certain restrictions on match days. Urbis is set in a dramatic glass building rising high above the centre of Manchester. An interactive exhibition will lead you on a journey exploring life in different cities around the world. With four cascading exhibition floors to explore you need to allow at least ninety minutes for your visit. In Manchester you will find all the shops you could ever desire and a few more besides. Acting as the Gateway to the North, Manchester also provides a perfect base to explore many of the North's attractions and is within easy reach of Blackpool, the historic city of Chester and only a few hours' drive to the Lake District, and the Yorkshire Dales. 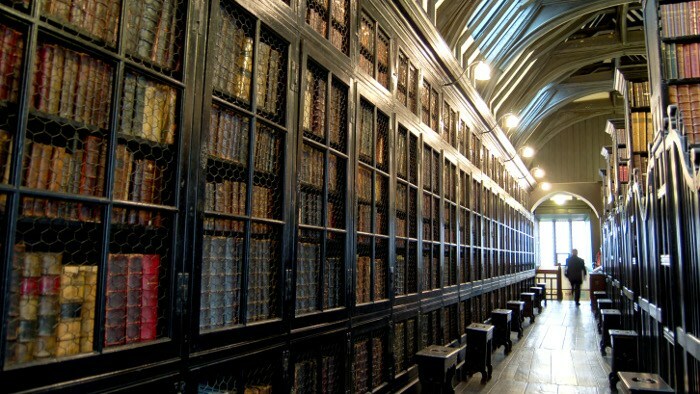 Well-preserved medieval college buildings housing a seventeenth-century library, believed to be the oldest public library in England. Interior, furniture and fittings date from 1654. The Library is open to the public without appointment from Monday to Friday, 9-12.30 and 1.30-4.30pm. Groups are welcome by appointment with the Librarian. Midday concerts performed by pupils at the adjacent School of Music are open to the public during term time. Groups wishing to attend concerts on a Wednesday followed by a tour of the medieval buildings should arrange an appointment with the School on 0161 834 9644. Corporate hospitality catered for throughout the year. For those who set eyes on Deansgate's The John Rylands Library for the first time, 'library' might not be the first word that comes to mind. This masterpiece of Victorian Gothic architecture looks more like a castle or cathedral. When John Rylands died in 1888, he was one of Manchester's most successful industrialists with a personal fortune of £2.75million. 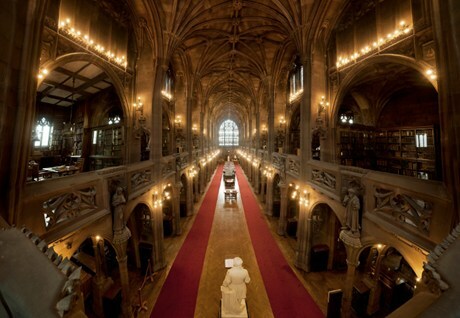 The library was commissioned in 1890 by his wife Enriqueta Rylands in memory of her late husband. The impressive mills and complexes that remain in Manchester’s former industrial heartland provide a potent reminder of times gone by. Ancoats was once known as the ‘workshop of the world’. Many of its mills were involved in spinning cotton but it also boasted an important glass industry and a number of chemical works. Look out for Anita Street, originally called Sanitary Street because of its purpose-built, hygienic workers houses. The name Ancoats is likely to have derived from the Old English ana cots, meaning "lonely cottages". The settlement is first recorded as Elnecot in 1212. In a survey of 1320, Ancoats was recorded as one of the eight hamlets within the township of Manchester in the ancient parish of Manchester within the hundred of Salford; the hamlet probably consisted of a few cottages and farmhouses centred on what is now Ancoats Lane, Butler Lane and Newton Lane. During the medieval period, Ancoats Hall was built. Land in Ancoats was bequeathed in the 14th century by Henry de Ancotes. The village covered the area of land that roughly lies between the River Medlock and the River Irk. Survey work for the Rochdale Canal was carried out by James Brindley in 1765. The knowledge that its construction would make the transport of raw materials and finished goods more convenient gave industrialists the confidence to build their cotton mills. The first mills were built in Ancoats as early as 1790. In 1792 commissioners were established for the improvement of the township of Manchester, which included Ancoats. Towards the end of the 18th century steam power was first used to power the cotton mills. 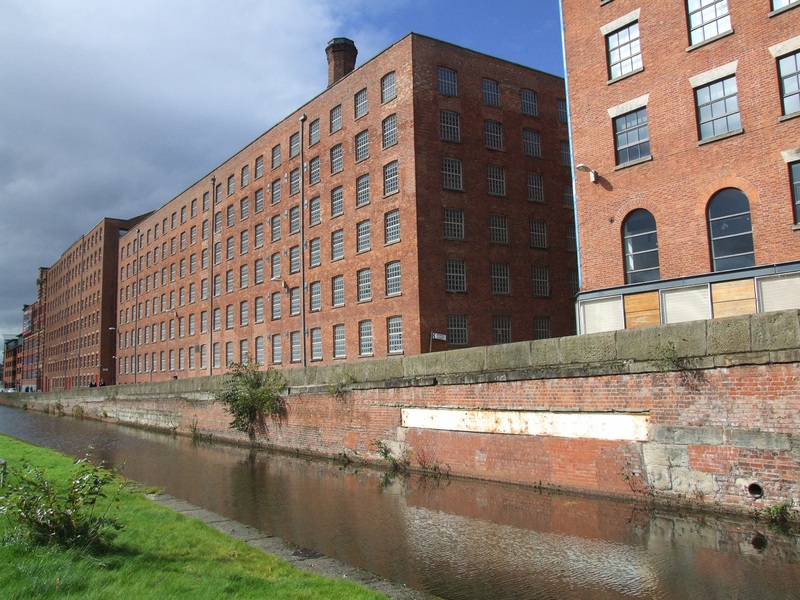 Some of the earliest mills of this period were Murray's Mills, which were established next to the Rochdale Canal on Union Street (now Redhill Street) off Great Ancoats Street, by Adam and George Murray in 1798. Later, they became known as Ancoats Mills when they were operated by McConnel & Company Ltd. The streets of Ancoats were also laid out during the latter part of the 18th century, with little development taking place other than small houses and shops along Great Ancoats Street and Oldham Road (A62 road). From the opening of the Rochdale Canal in 1804 the development of mills continued on a much larger scale. Mills in Ancoats included Victoria Mills, Wellington Mill, Brunswick Mill, India Mills, Dolton Mills, Lonsdale Mills, Phoenix Mill, Lloydsfield Mill, Sedgewick Mill, Decker Mill (owned by the Murray brothers), New Mill, Beehive Mill, Little Mill, Paragon Mill, Royal Mill and Pin Mill. Ancoats grew rapidly to become an important industrial centre and as a result it also became a densely populated area. By 1815 Ancoats was the most populous district in Manchester. Streets of back-to-back houses and court dwellings were rapidly built. For the poorest members of the community, houses were split and cellars let separately. Public health was a concern; a survey motivated by the fear of a cholera outbreak showed that over half of homes in Ancoats had no private plumbing, and over half of streets were not cleaned. 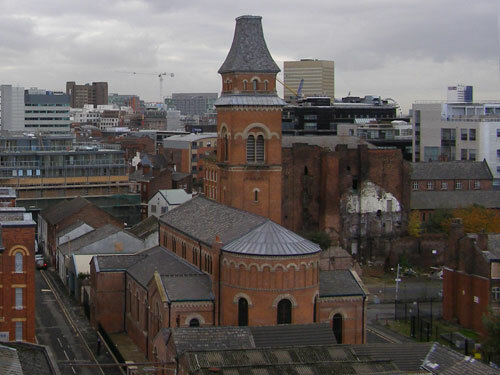 By the middle of the 19th century Ancoats was densely developed. In 1851 Ancoats' total population was 53,737, larger than towns such as Bury and Blackburn. 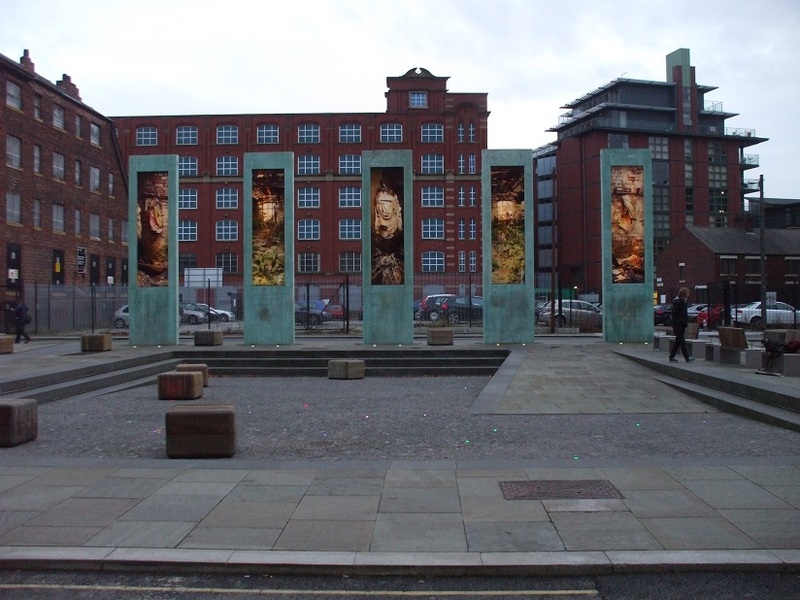 However, despite this large population, Ancoats lacked public buildings and spaces. There were no parks and the only public buildings were a few churches and a dispensary. As late as 1821 there had been no churches. Heaton Hall and Park is one of Manchester's principal parks and is less than four miles from the city centre. Its rolling scenery provides an attractive setting for a wide range of leisure activities which cater for visitors of all ages. It is also plays host to many outdoor events, like summer fun days, theatrical productions, concerts and other major events. East Lancashire Steam Railway is journey back in time. It was opened in 1846 to link the Manchester to Bolton line with Radcliffe and was a popular passenger and freight route until 1972. The East Lancashire Preservation Society, with assistance from Bury and Rossendale Councils, saw the line reopened in 1991. The traditional station buildings and developments along the tracks have contributed to the Society being presented with a number of environmental awards. Wigan Pier is situated on the banks of the Leeds-Liverpool Canal, and is one of the North West’s favourite visitor attractions. At the heart of the centre is an authentic recreation of life in the 1900s. Here you can witness the Victorian way of life such as life below ground at the coalface and how the famous Lancashire pit brow lasses lived. In the ever-popular Victorian schoolroom you can experience the rigours of a strict Victorian education. It is Britain's hottest short-break destination and packs everything you can do in a big city into one spectacular square mile. Shopping, sport, art, drama, history and truly world-class architecture - you name it and you'll find it at The Quays. They were opened in 1894 by Queen Victoria and spanned 120 acres (49 ha) of water and 1,000 acres (400 ha) of land. At their height the Manchester Docks were the third busiest port in Britain, but after containerisation and the limit placed on vessel size on the Manchester Ship Canal, the docks declined during the 1970s. They closed in 1982, resulting in the loss of 3000 jobs. In 1983 Salford City Council acquired parts of the docks covering 220 acres (90 ha) from the Manchester Ship Canal Company with the aid of a derelict land grant. The area was rebranded as Salford Quays and redevelopment by Urban Waterside began in 1985 under the Salford Quays Development Plan. Faced with major pollution issues from quality of the water in the ship canal, dams were built to isolate the docks, after which water quality was improved by aerating it using a compressed air mixing system. Within two years the quality was sufficient to introduce 12,000 coarse fish, which have thrived in the environment. Water quality is monitored fortnightly by scientists from APEM, the Manchester University Aquatic Pollution and Environmental Monitoring Unit, and the improved habitat has been recognised by the Angling Foundation and the Institute of Fisheries Management. Between 1986 and 1990 the infrastructure of the docks was modified to create an internal waterway network. Roads and bridges were built and a promenade along the waterfront constructed and landscaped. Moorings and watersports facilities were provided and a railway swing bridge moved to cross Dock 9. Hotels, cinema, housing, offices were built on Piers 5 and 6 followed by more developments on Pier 7. Public funding and private investment totalled around £280 million by the early 1990s. MediaCityUK is a 200-acre (81 ha) mixed-use property development on Pier 9 of the Quays with a focus on creative industries. It was developed by the Peel Group. Its principal tenants are media organisations including the BBC. The brownfield site occupied by the development was part of the Port of Manchester. Salford Quays is part of a joint tourism initiative between Salford and Trafford councils supported by private sector partners including the Lowry, the Imperial War Museum North, Manchester United F.C., Lancashire County Cricket Club, the Lowry Outlet Mall and the Golden Tulip and Copthorne Hotels; working in partnership with Marketing Manchester. Salford Quays forms one part of the area known as the Quays, which also includes Trafford Wharf and Old Trafford, on the Manchester side of the ship canal. The Lowry Outlet Mall contains outlet stores of well-known high-street businesses, including Cadbury's, Marks & Spencer and Costa Coffee. The mall contains coffee shops and convenience food chains, and a multi-screen cinema operated by Vue. Outside the mall, a bar and several restaurants overlook the Lowry plaza. 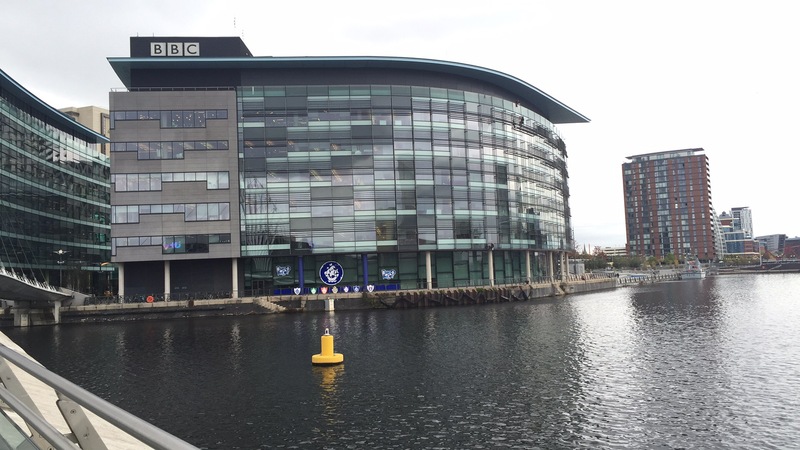 The head office of the UK arm of Communicorp is situated in Laser House on Salford Quays, with the company's flagship stations 100.4 Smooth Radio and Real Radio XS broadcasting from studios there. Standing at the head of Erie Basin (Dock 9), Anchorage is a complex of buildings, home to BUPA and Barclaycard. To the north side of Erie Basin stand the Victoria and Alexandra buildings. To the south east, the former Colgate-Palmolive factory is under going a £25m renovation project known as Soapworks and set to create around 2,000 jobs and provide retail, accommodation, leisure facilities and 350,000 sq ft of office space at Salford Quays. Communicorp Group Ltd., is Ireland’s premier media company and the home of some of Europe’s leading commercial media brands. Communicorp owns and operates a portfolio of media channels with a strong focus on commercial radio and emerging digital media. 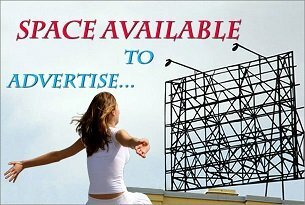 The company maintains some of the largest independent radio networks in Ireland, Bulgaria, and the UK and it continues to be one of the fastest growing radio networks in the world with 22 radio stations in 3 countries. In February of 2014, 8 regional UK radio stations joined the Communicorp stable. Communicorp UK is now the newest and fourth largest radio group in the United Kingdom. Manchester Metrolink tram bound for Piccadilly at Exchange Quay Metrolink Station. Salford Quays is connected to Manchester city centre by the Manchester Metrolink. This connection opened in 1999 and was extended onward to Eccles in 2000. The section of the Eccles Line from Pomona to MediaCityUK serves the Salford Quays area. Trams operate every 12 minutes throughout the day and every 12–15 minutes on Sundays. MediaCityUK Metrolink station opened in summer 2010 to serve the MediaCityUK complex. The proposed Metrolink Trafford Park Line includes two stations close to Salford Quays: Wharfside and Imperial War Museum. Stagecoach Manchester bus 50, branded as "City Connect", connects Salford Quays to Salford Crescent station, Manchester city centre and East Didsbury. It starts and terminates at the Lowry. 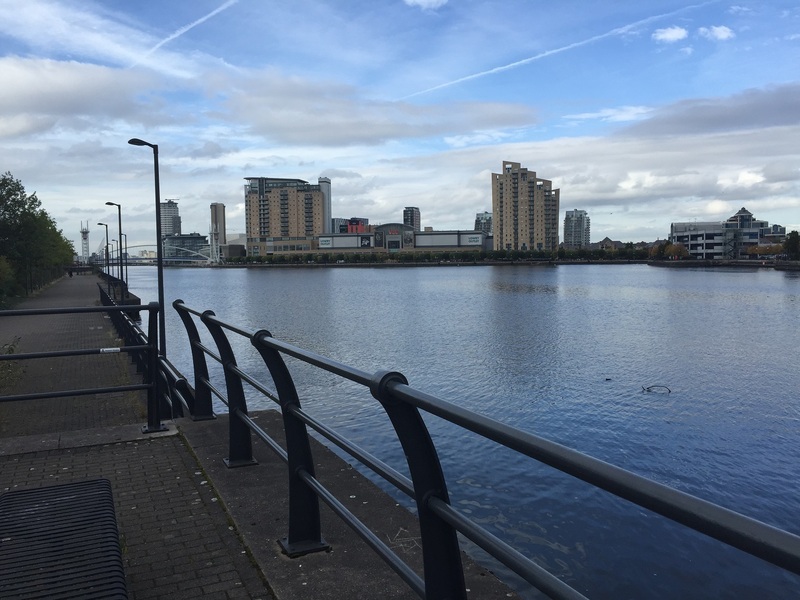 Salford Quays and the Trafford Wharf area are accessible from the M602 motorway and major arterial routes from the Trafford Centre, Manchester city centre, Salford and Old Trafford. Many main routes around the Quays are high-quality dual carriageway routes, built after the closure of Salford Docks. Manchester has a global feel and flavours all of its own, and can boast of thirty different nationalities of the finest cuisine. 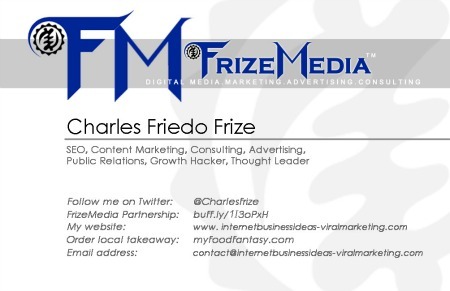 Having restaurants and cafés flying flags from around the world. Manchester offers a mind-boggling range of restaurants, whatever your budget. Ultra-chic or reassuringly traditional, Manchester’s restaurants, cafés, pubs and bars offer rest and relaxation for all. 39 Steps is tucked away on South King Street and has quietly been busy making a very successful name for itself over the past 21 years. It specialises in providing an every evolving menu to make the most of the finest seasonal produce. 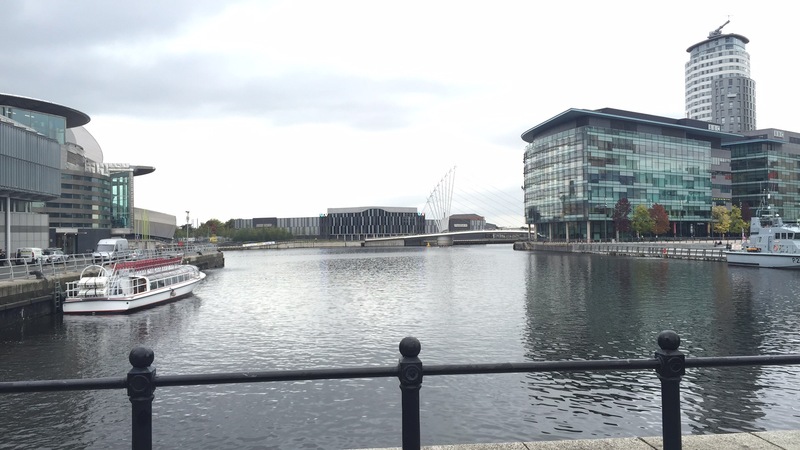 The River Bar and Restaurant is situated with the very chic and sophisticated Lowry Hotel. Like the hotel the restaurant is highly elegant, as is the food which is widely considered to be some of the very best, if not the best in Manchester, with the added bonus of great views out across the river. This restaurant is both the ideal setting for an important business lunch, or a romantic dinner for two. It’s a fine example of a good old-fashioned city pub offering an excellent selection of real ales and basic pub food including sandwiches, jacket potatoes and burgers. Lass O’Gowrie is a particular favourite with real ale fan thanks to a range of ever-changing cask beers on offer as well as boasting its own brewery. It is also a hit with the local student population, who come here to dine on the simple and reasonably priced food such as chilli and lasagne. Waxy O’Connors is a popular Irish pub and is a labyrinth of different rooms set across four levels. This is not the place for a quiet drink. It is a lively pub with live bands twice a week; as well as showing live sporting events on its big screen. There is a wide choice of both wine and beer and the food comes in the form of dishes as varied as traditional Irish stew, fish and chips and seafood chowder. Manchester is the life and soul of the region with more theatres than any other UK city outside London, a wide range of live music venues, two internationally renowned orchestras and a music and club scene of world-wide fame. You'll never be stuck for something to entertain you in Manchester. Manchester Arena is one of the best venues in the South East. The programme boasts an excellent line up of comedy, music, dance & theatre. Lowry Red Cinema entertains you with high quality contemporary dance, drama, visual arts, films, comedy, music et al. G-Mex now known as Manchester Central is a great venue for music, comedy, cabaret and theatre. With so much variety available whatever your requirements for a short break you cannot go wrong with using the exciting city of Manchester as a base. With history, culture, sport and scenery all available within easy reach and a choice of restaurants and bars where to end a day, why not give Manchester a visit.